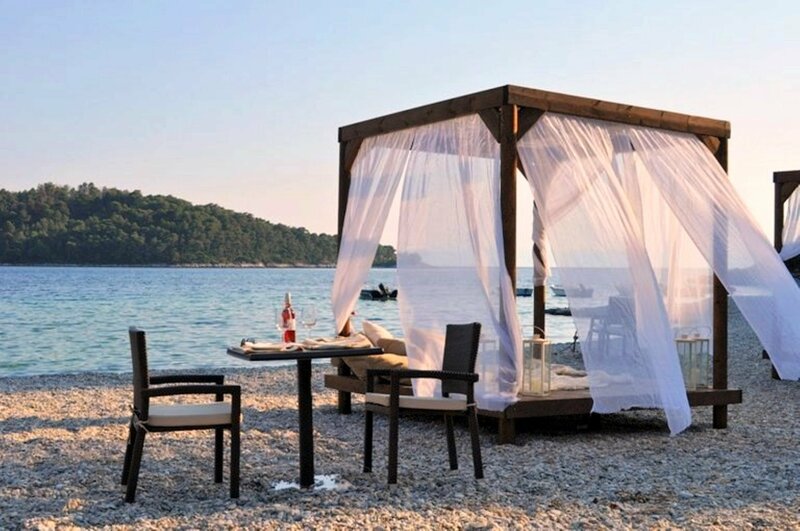 Celebrate your love in Skopelos! 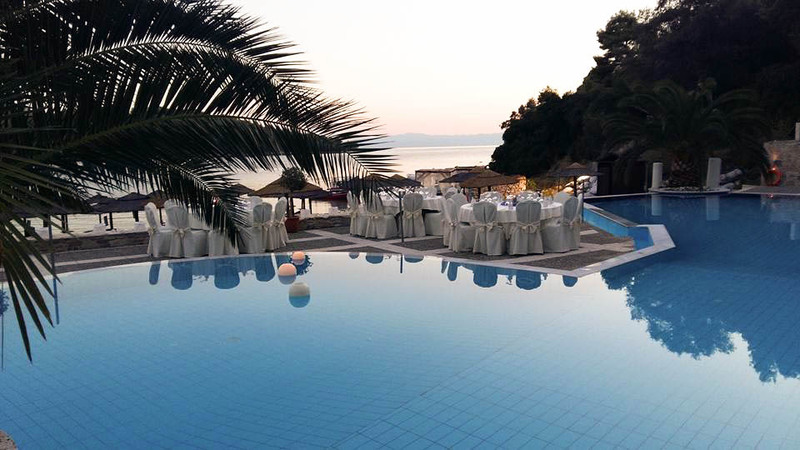 Blue Green Bay is the ideal setting to organize your dream wedding in Skopelos Island. Attention to detail, comfort and luxury, all blend together with eye-catching landscapes and azure waters. In this exclusive place, unique lifelong memories are born. We offer a wide range of wedding services. Organize the wedding ceremony of your dreams with our experienced wedding team in a particular venue right next to the beach. Create the perfect setting for the most important day of your life. 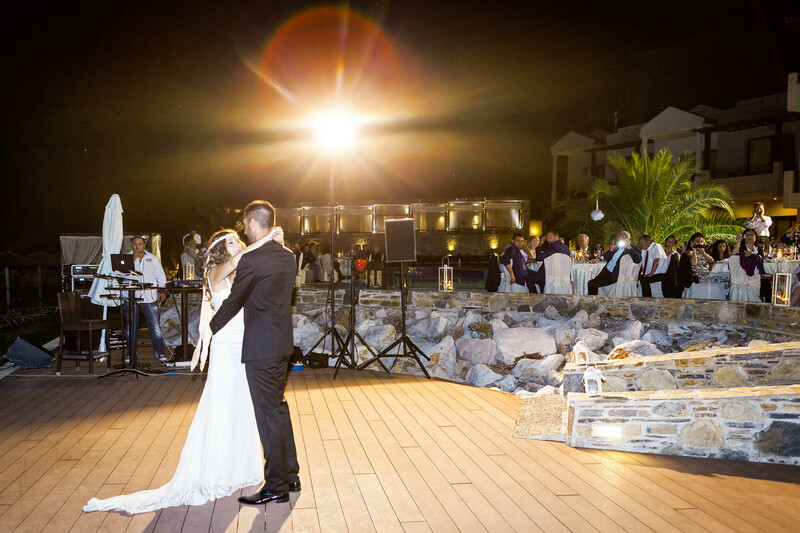 Blue Green Bay is the ideal scene for the most romantic and memorable summer wedding ceremony. Located on the lush green bay of Panormos, with its crystal clear turquoise waters, it is one of the most magical spots on Skopelos Island. The views over the picturesque bay, the magical sunset and a wedding arch with flowers right on the beach create a beautiful backdrop to exchange vows and declare your lifelong love. Your wedding reception venue should reflect the style of wedding you have chosen. Whether simple and informal or elegant and opulent, we meet your expectations and we promise that your wedding day will be unforgettable. The wedding reception takes place around the uniquely shaped pool of Blue Green Bay, perfect for up to 250 guests in round table seating. The candlelight by pool and the stunning sunset create a romantic, fairytale setting. Our team will help you choose your menu and make sure that the wedding reception will exceed yours and your guests’ expectations. Providing an exclusive service and an idyllic atmosphere, Blue Green Bay is perhaps the “best seller” in Skopelos. It can be contracted, privately, as a whole for your guests’ lodging as well as for your wedding ceremony, reception beach party with the music of your preference and nonstop fun until the early hours.